Laura is a Denver Interior Designer who runs an Interior Design Studio based in sunny Colorado with a strong commitment to livable and interesting interiors. She also runs The Colorado Nest, a Denver blog about Design, Art and Life in the Mountain West and co-hosts the book podcast "The Inside Flap" on iTunes, Stitcher and Google Play. An Interview with Paula Munier and More! 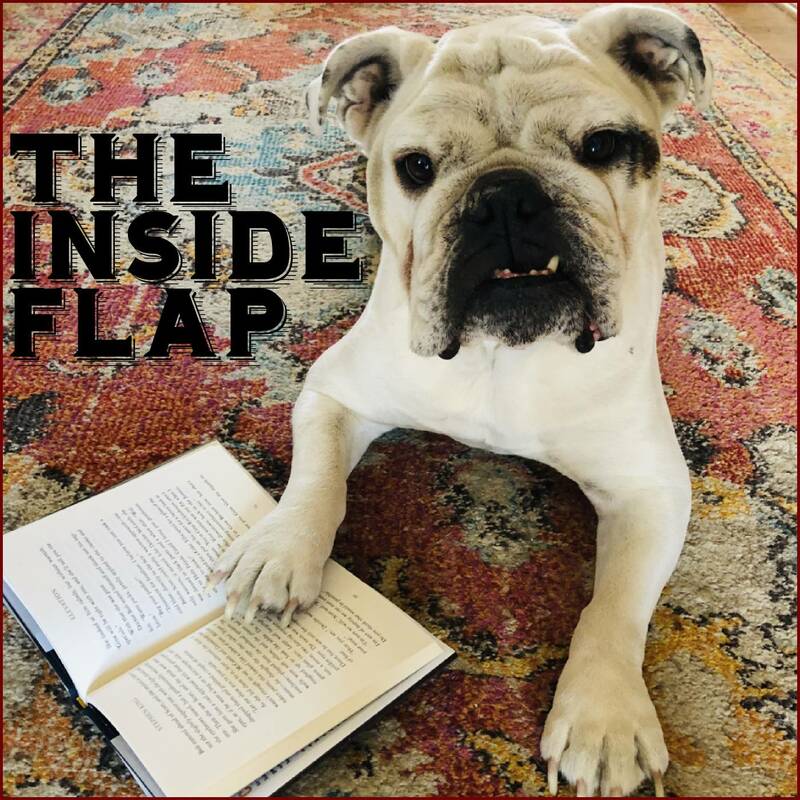 We have an entertaining chat with Mary Higgins Clark Award nominee Paula Munier about her book A Borrowing of Bones, baseball, decorating, dogs and happiness. We also recommend: The Wolf in the Whale by Jordanna Max Brodsky, We are Legion (We are Bob) by Dennis E. Taylor, and Moon of the Crusted Snow by Waubgeshig Rice. Audiobook of the week is Ararat by Christopher Golden read by the skilled Robert Fass. An Interview with Mark Obmascik and More! We have an entertaining talk with Pulitzer Prize winning journalist and author Mark Obmascik about his new book, The Storm on Our Shores: One Island, Two Soldiers, and the Forgotten Battle of World War II. We also recommend: The Liar’s Girl by Catherine Ryan Howard and Pressure by Jeff Strand. We talk marching bands and prison escapes. Audiobook of the week is Meeting Evil by Thomas Berger read by the refreshing Bronson Pinchot. We recommend: Dracul by Dacre Stoker and J. D. Barker, The Puppet Show by M.W. Craven and Temporary Duty by Ric Locke. Audiobook of the week is On Writing by Stephen King read by Stephen King. In “Library Corner” we talk to Amy about women in Noir and she recommends books by Megan Abbot and Cathi Unsworth. We also puzzle over the Denver Nuggets Hype Squad, Dave can’t swim, Andrew doesn’t know how to park, and we play Guess That Dracula. An Interview with Kathleen Kent! An excellent conversation with author Kathleen Kent about her Edgar nominated book, The Dime! We also recommend: The Heretic’s Daughter by Kathleen Kent, The Bonesetter by Laurence Dahners. and All the Rage by F. Paul Wilson. Audiobook of the week is Out by Natsuo Karino read by the beautiful Emily Woo Zeller. An Interview With Alma Katsu! An excellent conversation with author Alma Katsu about her book, The Hunger! We also recommend: A Borrowing of Bones by Paula Munier, The Dark Ability by D.K. Holmberg. and The Nightmare Room by Chris Sorensen. Audiobook of the week is A Rage in Harlem by Chester Himes read by the unmistakable Samuel L. Jackson.